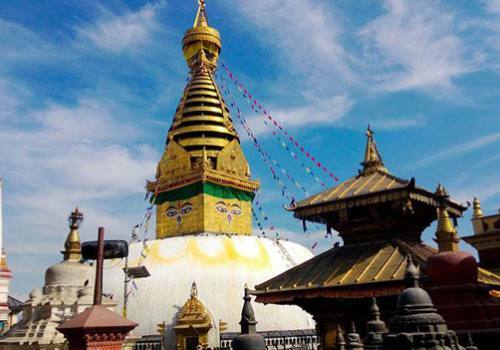 Nepal Honeymoon and Anniversary Tour on top of the world! A Honeymoon or an Anniversary Tour with your beloved wife in heaven on the earth! 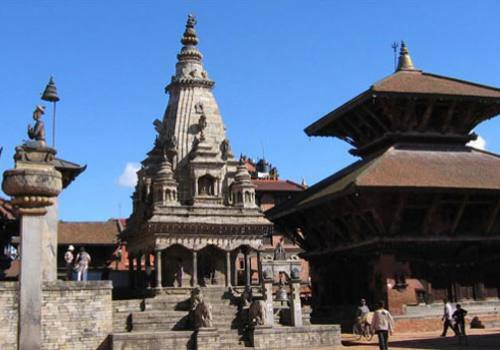 Nepal, the crown of the world, is the best place for your exclusive and romantic Honeymoon or Wedding Anniversary Tour. With a great variety of unique luxury resorts, count on the charm of the boutique hotels and natural beauty to enchant you and your loved ones during that very special moment in heaven on the earth. Nepal offers the nature and luxury that you deserve in a magical place – the top of the world - closer to the heavens! When you finally decide to get married, looking for the best honeymoon destination that offers most beautiful experience in your life is not easy. Why not visit a place where you can enjoy the mountains, nature world, river, lake, wildlife and shopping and Nepal offers all the things. Honeymoon is the golden period of your married life, which undoubtedly needs to be cherished in an unforgettable way so Nepal is the best Honeymoon or wedding anniversary trip ideas to spend few days in the lap of the Nature (Himalayas) most romantic place in the world with your beloved is completely wonderful! We present the best options to those people who are looking for a memorable honeymoon in Nepal´s Himalaya. We have pre-established program, but we can also design your honeymoon program, taking into account your special needs and preferences are included. Some people want to go trekking in Honeymoon too. 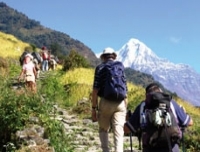 In our Nepal honeymoon Tour or Anniversary, it is a perfect blend of cultural and natural tour, Jungle Safari, Bird Watching, Village Walks, Sunrise and Mountain View, Paragliding, Ultra light Flights, Helicopter Tour, Mountain Flight, and sightseeing tours to UNESCO listed world heritage sites etc. 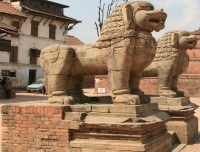 We have included some formal sightseeing with knowledgeable English-speaking guides in Kathmandu Valley and enough free time for you to explore youreslf! In Pokhara Kathmandu and Pokhara you can stay at Star or deluxe hotel having excellent view of Pokhara, whole Annapurna and Fishtail Range. 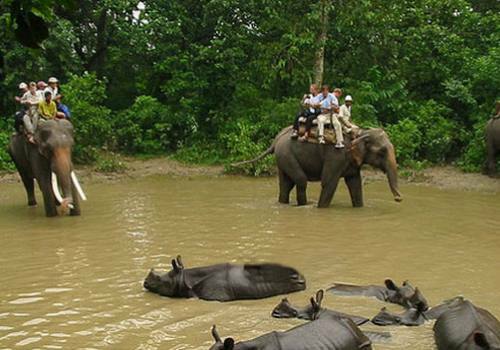 And in Chitwan there will be opportunities to wash elephants in the river before riding on top of them for tiger spotting in the jungle of world famous Chitwan National Park. Our Nepal Luxury Honeymoon Tour is so popular so we require the booking at least 3 months prior departure. However, we may be able to book this on short notice as well. Day 01:Arrival day, we will pick up at airport and transfer to the hotel. 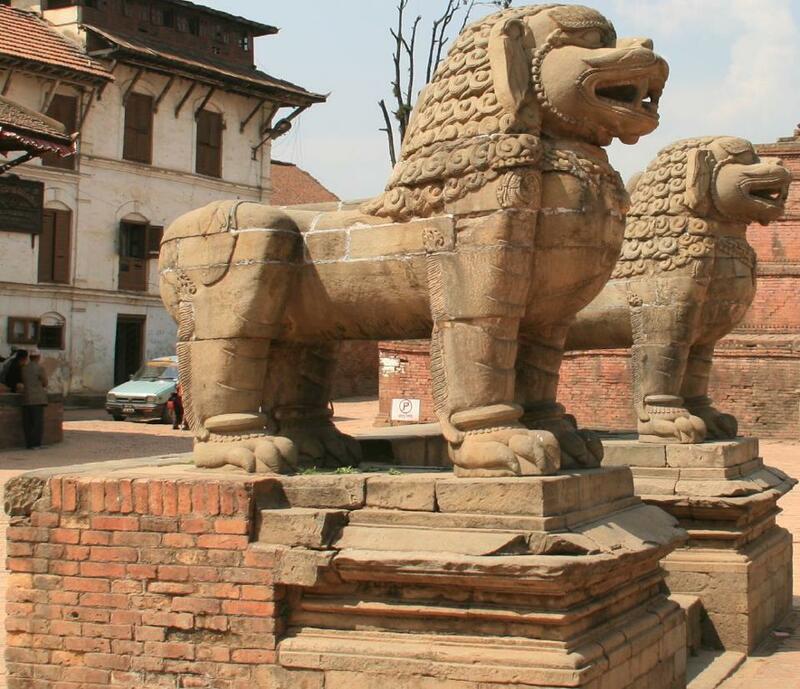 Day 02:Kathmandu Valley sightseeing in UNESCO world Heritage sights. Overnigt in hotel. Day 03:Early Morning experience the Mountain flight of Everest. Afternoon fly to Pokhara, overnight in Hotel. Day 04:Full day Pokhara Valley tour, boating and seeing the lake city with private car. Day 05:Paragliding or Ultra Light air craft flight in Pokhara (optional). Day 06:Drive to Chitwan National Park - one of the Asia´s finest NP. Overnight in Resort. Day 08:Drive back to Kathmandu by tourist bus and Evening join the Nepali cultural show and dinner. Day 09:Transfer to the Airport for the final departure. Namaste! 3 Nights sharing twin bed room in Hotel Holy Himalaya (3*** category) in Kathmandu with breakfast basis. 2 Nights standard Hotel Splendid View in Pokhara with bed and breakfast basis. Half hour paragliding fly from Sarankot over Phewa Lake and enjoy the Annapurna Himalayan Panorama during flight.